Archive for the ‘1000 Islands’ Category. Valentine’s Day is a time when people show feelings of love, affection and friendship. It is celebrated in many ways worldwide and falls on February 14, each year. Valentine’s Day is an opportunity for people to tell somebody that they love them in a romantic way. It falls on February 14, the name day of two saints, St Valentine of Rome and St Valentine of Terni. In pre-Christian times, the middle of February was a time of pagan fertility festivals in Europe and allegedly the time when birds chose a mate. • Flowers, particularly red roses. Many people also thought that birds chose their mates at this time of year. Around the year 1380, the English poet Chaucer wrote a poem for the first anniversary of the engagement of King Richard II to Anne of Bohemia. 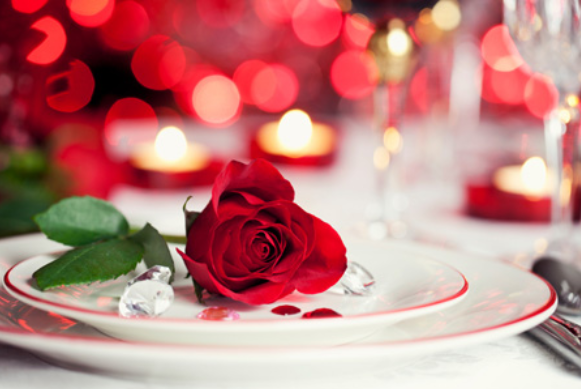 This is thought to be the first association between celebrations of romantic love and St Valentine’s Day on February 14. The connection remained important throughout the middle ages. The most common symbols of Valentine’s Day are heart shapes, which are used to decorate many things, including cards, trees, wrapping paper, cookies and gift boxes. Other symbols associated with February 14 are pairs of birds, cute teddy bears, Cupid and his arrows and couples kissing or embracing. The colors red and pink are often associated with Valentine’s Day. Artisan Entertainment presents HOW SWEET IT IS/ Cabaret Music Series Saturday February 25, 2017 – 7:30pm & Sunday February 26, 2017 – 2:30pm. We celebrate the great music of James Taylor, John Denver, and Jimmy Buffett. Featuring Doug Reansbury, Cliff Edwards, Jeff Callery, Duncan Holt, Ken Hall, and Mark Wilkins. Hear “Sweet Baby James”, “Fire and Rain”, “Back Home Again”, “Country Roads”, “Changes In Attitude”, “Come Monday”, and many other favourites. The February meeting of the Gananoque Horticultural Society will be held on Wednesday , February 8 at 7:00 p.m. at the Carveth Care Centre, Herbert St. entrance. The featured program is “Herbs”. 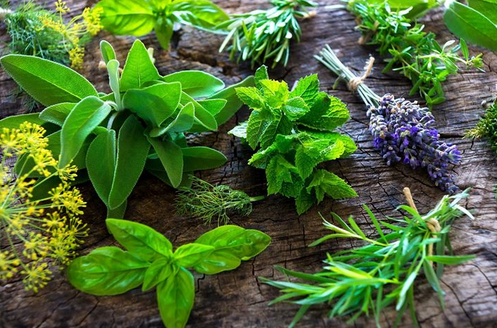 Nancy Cole will introduce us to herbs, including how to grow them and their uses. We are “Green” . Please Bring a Mug. Light refreshments and door prizes. Visitors Welcome. Nancy Cole will give us an introduction to growing herbs. A concert to lift your Winter Spirits! 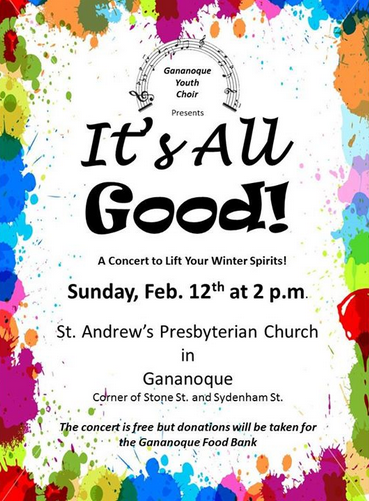 Come hear the Gananoque Youth Choir in their first official concert! Chase your winter blues away with some uplifting tunes! 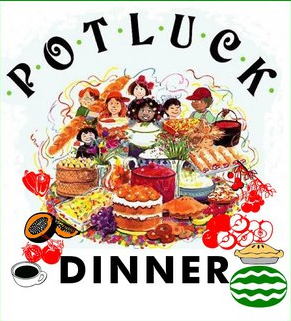 JANUARY 11, 2017 Annual Potluck Supper – 6:00 pm – A Potluck Supper – only the best home cooking! 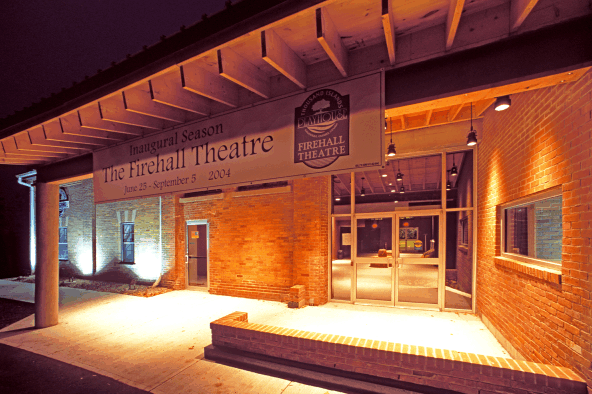 Plus ‘Our 96th Year in Review’, and 2016 Awards presentation. 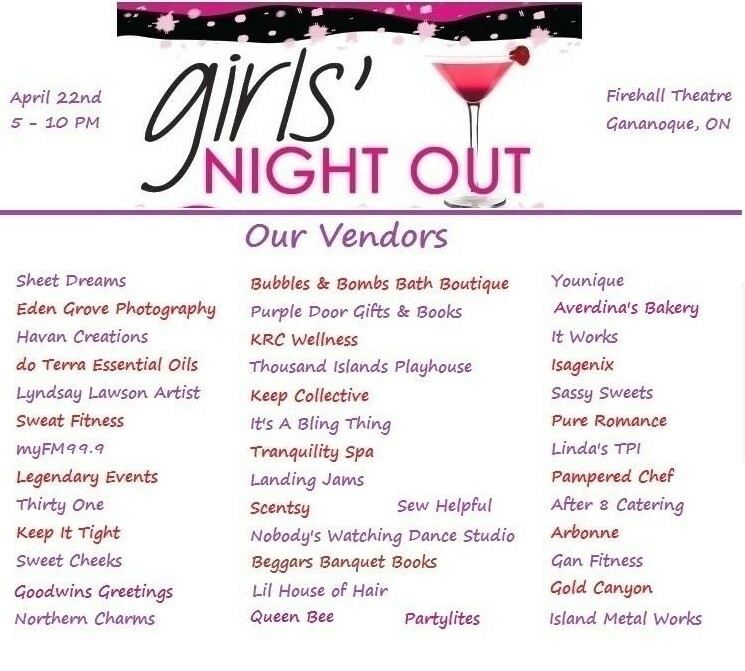 Grab your girlfriends and get ready for a day of fun, tasty drinks, delightful treats, a fabulous full course lunch and wonderful prizes! 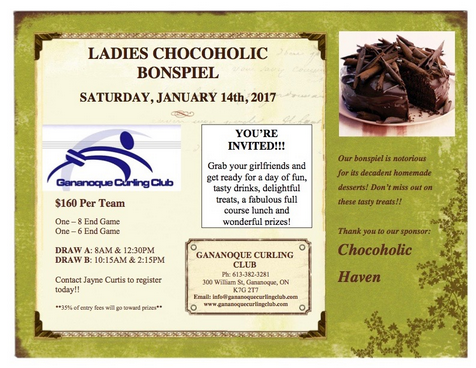 Our bonspiel is notorious for its decadent homemade desserts! Don’t miss out on these tasty treats!! Regular Council Meetings are held the 1st and 3rd Tuesday of each month. Call to Order and Closed Sessions of Council may vary depending on time needed for Closed Session of Council. Open Sesion of Council will commence at 6:00pm. Committee of the Whole Meetings are held the 1st and 3rd Tuesday of each month and will commence directly after the Regular Council Meeting. To view the agenda for the Committee of the Whole, please go to the Committee and Board Meeting page. A Cabaret Music Series. Artisan Entertainment presents A BEAUTIFUL NOISE/ Cabaret Music Series Saturday January 28, 2017 – 7:30pm & Sunday January 29, 2017 – 2:30pm We feature the music of two of the greatest singers in American music history, Neil Diamond and Karen Carpenter. You will be treated to a performance by Cliff Edwards, Michelle and their great band! Annual Ribfest held in conjunction with Canada Day Celebrations, Great 1000 Islands Ducky Race at Confederation Park, Fireworks at sunset. Four professional ribbers, food vendors, merchandise vendors, free live entertainment throughout day, evening and weekend. Kidz zone, inflatibles, climging wall, demonstrations as well as Birds of Prey show. Great food, lots of fun and games for the children and mouth watering ribs, chicken, and othe kiosks on site. Rotary arts & craft fair Sat & Sun and Lions shore breakfast on the Sunday. Great fun for the entire week end. Enjoy a three course meal with live, light music and the 1000 islands as your everchanging backdrop. Meal includes: Roasted pork tenderloin with apple wine gravy, roasted potatoes, fresh vegetables, mixed green salad, warm bread, dessert and coffee or tea. 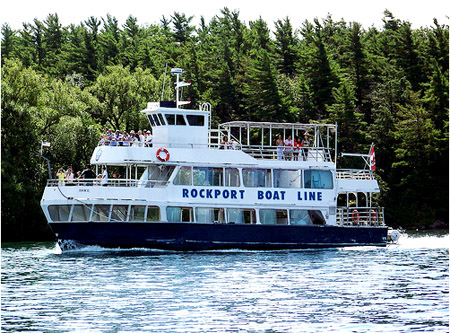 Gananoque Boat Line operates five triple-decker, all-aluminum vessels. Facilities on board include: rest rooms on each deck, coffee shop and refreshments. There are five open decks and two fully enclosed decks. The Gananoque Boat Line fleet is inspected and certified by Transport Canada – one of the highest standards in the world! 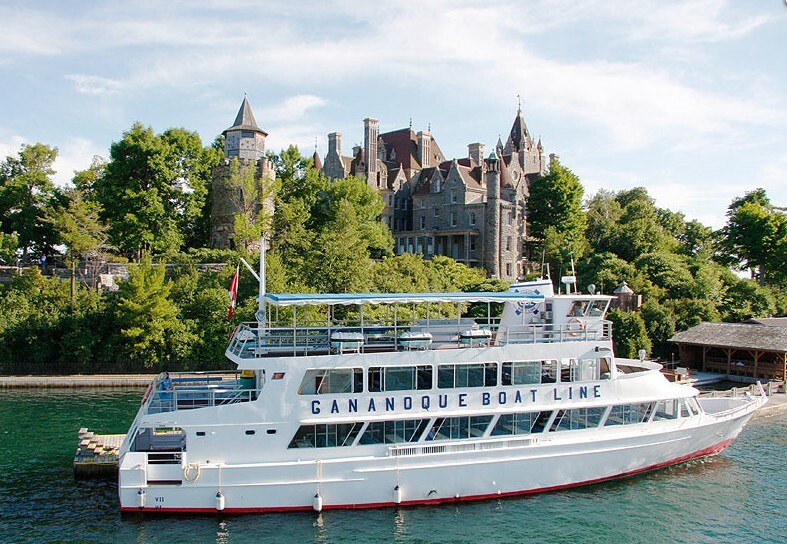 The Gananoque Boat Line features the newest, largest, best appointed tour vessels in North America. Facilities on board include: rest rooms on each deck, coffee shop and refreshments, also featuring electric heating for spring and fall cruising. 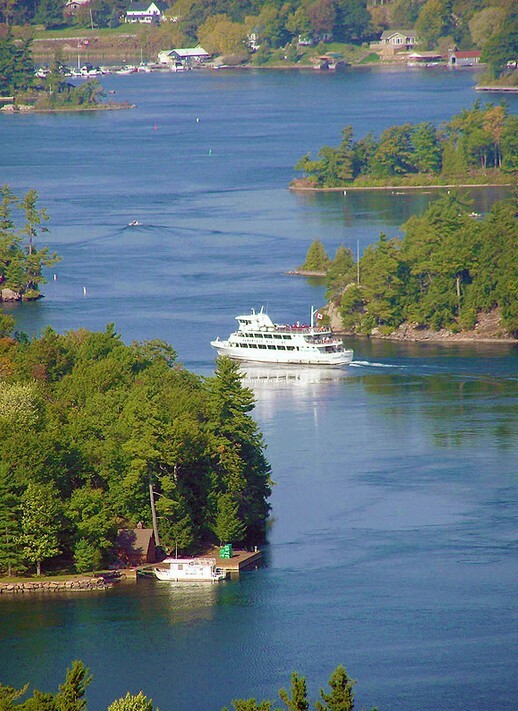 The 2.5 hour tour is the most comprehensive of all the tour of the 1000 islands. 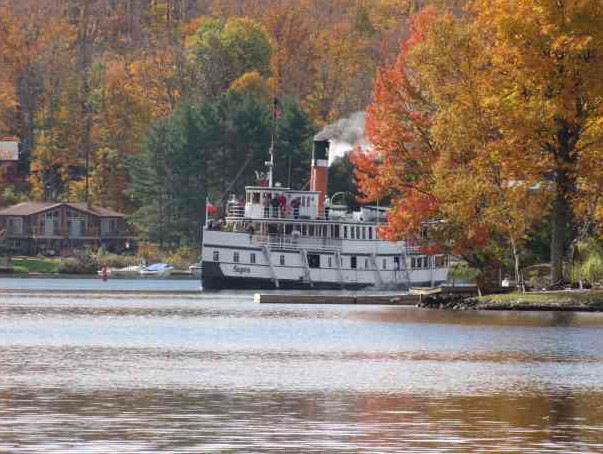 Tour the Canadian and American sides of the river. Travel down the Seaway channel. Pass under both the Canadian and American spans of the 1000 Islands international bridge. 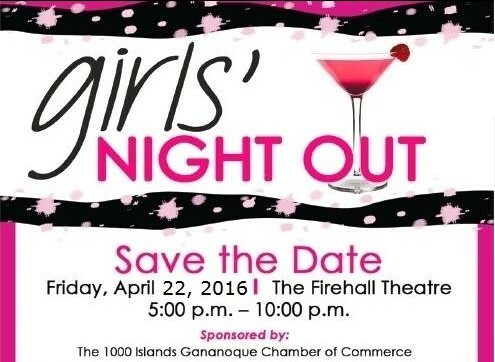 1000 Islands Gananoque Chamber of Commerce presents: Girls’ Night Out, Friday April 22, 2016 from 5:00 – 10:00pm. Last years Girls’ Night out was a smashing success. Let’s make this years even better. Come out for a night of fun, friends & food. Get your besties together & come out for a night devoted to women. No Men Allowed. Shop for clothes, accessories & jewelry. Expand your creativity with crafts, art & art supplies. Pamper yourself with candles, bath bombs, beauty products, comfy sheets, Adult products & gifts. Satisfy your sweet tooth, check out healthy lifestyles, watch or participate in Belly Dance, Zumba, Martial Arts & Cardio Fitness demos. Take home a memory from our “Selfie Booth”, costumes available provided by Thousand Islands Playhouse. Enjoy a mini massage, hand massage, mini makeover or a new doo for your hair. Plus much much more. Check out the vendors or become a vendor. Admission Details: Tickets are $10 per person and are available at the door. There will be a cash bar and food for purchase. Mark your calendars for April 22nd & get your shopping list ready. The April meeting of the Gananoque Horticultural Society will be held on Wednesday April 13 at 7:30 p.m. Carveth Care, Herbert St. Entrance. The featured topic is Three Design Techniques. 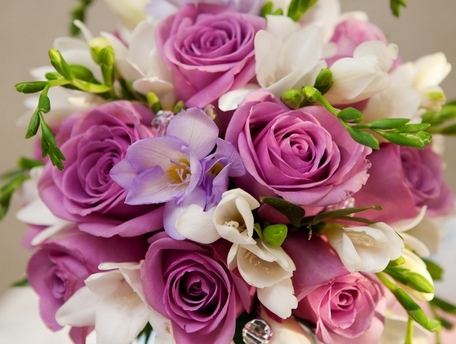 Our expert designers will demonstrate 3 different design styles for use in the June Flower Show. Also featured is our Annual House Plant Show Entries due by 6:30 p.m. Last call Seed Exchange- Bring & Trade. Visitors welcome! We Are Green. Please bring a mug. 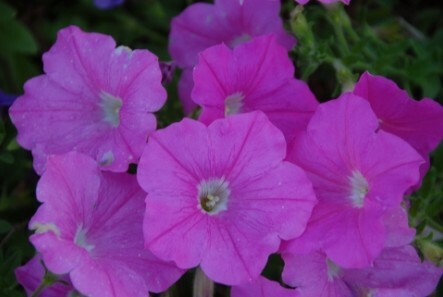 One of the primary aims of the Gananoque Horticultural Society is Community beautification. This is accomplished by encouraging local residents to develop their own gardens through our educational speakers and seminars. Members and visitors have the opportunity to see what others have done on garden tours, as well as through flower exhibitions and competitions. 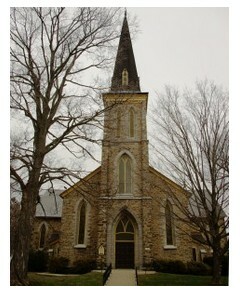 Presbyterian Church 175 Stone Street South (use Sydenham st. entrance) for wheelchair access use Stone Street entrance. They will be serving oyster, vegetable, chili & potato soups; beefburgers, chicken & hot dog sandwiches; pie, desserts & drinks – all for a free-will donation.